ArcheAge is a free to play sandbox/themepark massively multiplayer online role-playing games (MMORPG) with fantasy elements, being developed by Trion Worlds. The closed beta started on July 17, 2014. You can join the fray by siding with one of the two factions or go at it alone as an outcast of society. Players can make a name for themselves by crafting, trading, crime, or waging war. ArcheAge’s massive game world allows you to create player housing, farms, castles, and more to claim your own territory. You can also steal others’ land by fighting against them on land, air, or sea. 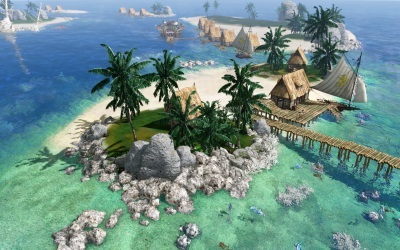 Archeage brings a fresh view to the sandbox genre with beautiful graphics and an unlimited class system allowing for truly unique hunting and gameplay. 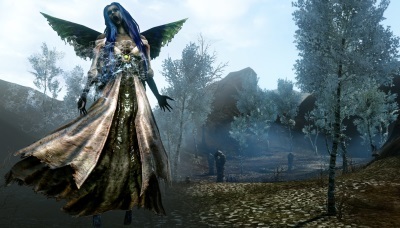 ArcheAge features a great character creation system that offers several options for each player to create a unique character. With several sliders, making one look great or as hideous as can be, is fairly simple if you are creative enough. You can also choose from the presets if you prefer a simple creation process to get into the game faster. There are 4 races to choose from ranging from human to cat creatures which offer even more unique options for each player. The choices in color are just as extensive as the choices in design itself. To me, it’s one of the best creation systems for a sandbox MMO. In ArcheAge there are two factions that are of course, at war with each other. The 4 races are split into the two factions, each at war with each other in both background and gameplay. The Western faction is made up of the Humans and Elves and the East faction are the Asians and Ferre (Cat race). Each of the races have bonuses that aid them in a variety of ways. With the world torn by these two factions, the players will find themselves at odds and usually set up near the same factions as the other faction players can attack them at any time. This provides a sense of being hunted when playing in this open world PVP style sandbox game. Classes in ArheAge are very unique comparing to other MMOs. Each class is made up of several skills, and the players can choose another school to follow as the level up. Eventually, you’ll be able to choose skills from all three combat schools. The options are almost limitless to create a build truly unique to you alone. Or you could follow the common builds that others come up with and enjoy more then unique ones. However, those are not always as effective as unique ones. 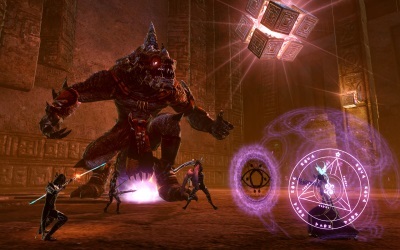 The combat in ArcheAge is a combination of styles much like a Point and Click system with action based combat elements. After trying it out for awhile, you can easily master the combat style. ArcheAge’s abilities favor the AOE style where they target multiple enemies at once. Being a ranged class has certain advantages over the melee ones, but a melee class can still do well in fights. Dodging is controlled by double tapping the movement keys and most skills are dodgeable. Most PvE combat is easily overcome even with the encounters recommending more than one player to beat them. There is a unique boss that’s a titan on higher locations that can do heavy damage if caught by surprise. The game’s beauty is absolutely breathtaking. There are many regions types as well as dynamic weather and even seasons. Even on the lower end settings, the game world still contains a lot of amazing details that won’t hinder the gameplay. ArcheAge is open-world, with no load screens between zones and seamless travel between cities. There are many points of interest to visit while exploring the game world. You can leap off of a mountain and glide your way to the bottom far away by using your glider. With high mountains and Chinese-themed architecture, it appears a lot like Swordsman Online and similar Asian style MMOs. Even the farms are detailed enough to contain a lot of beauty, with underwater farms being stunning. Among the many ways of travel, the most scenic would have to be the Glider. You can glide from any high location and take in the great visuals as you slowly descend to the ground below it. You can even go over fences and buildings belonging to other players. Some places are only reachable by using the glider to get there. The Glider is also a good tool for escaping a tough fight. You can also travel by a huge variety of mounts, as well as wagons and ships. All of the vehicle transports can enable a great view while traveling. Some places are best seen from the sea and others from the sky or even the ground passing through a grove of lush trees. Something that is severely lacking in sandbox MMOs is the quest system. Because most sandboxes believe everything should be player made and controlled, quests hardly ever exist in a sandbox game. 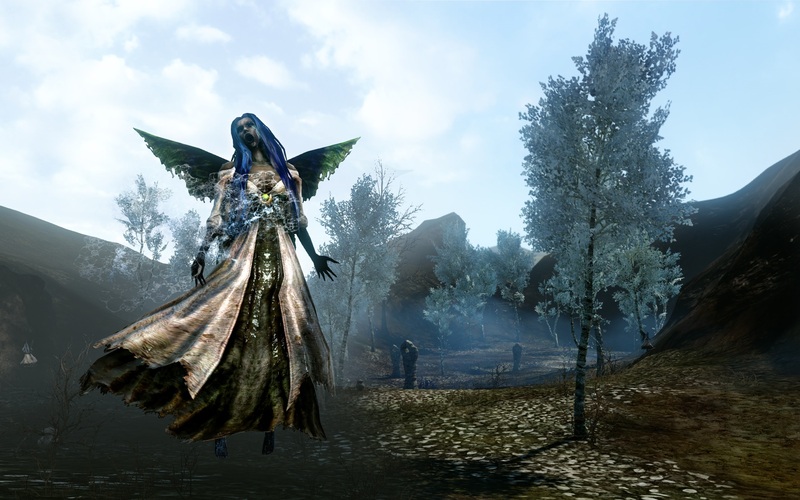 However, in ArcheAge there is a questing system that rewards with coins and other materials to aid the players as they complete them. This adds an advantage for ArcheAge in the Sandbox MMO genre that other ones just don’t have. The quests are however; very generic and similar to MMORPGs in style. Those looking for a different style of questing will be let down. These quests involve killing of a few enemies, or gathering items, and sometimes taking on bosses with a small group of people. The quests reward Labor Points needed for building stuff. Crafting is a huge part of ArcheAge. If you want to get ahead in the game, you’ll have to either learn a lot of the crafting system or get a friend to help you with everything. All recipes need ingredients which require some travel, trading, and even growing to acquire. This is where time is needed to gather up everything. Trade Runs are another big feature of ArcheAge. Trade Runs allow players to travel far and wide for great rewards. Everyone does them eventually. These are a good way to earn large amounts of coin, and the only way to get Delphic Stars. The stars are used in Mirage island to buy a variety of items. Just like reality, trading requires travel to profit from. The majority of Trade Runs result quickly into fighting. You’ll see a mass fleet of ships going to the various trade ports all at the same time pretty often. But this also means that the group is more likely to be targeted by Pirate Players in PvP. Or perhaps, you’ll be the one doing the pirating and steal another trader’s goods. Both ways are a lot of fun while doing Trade Runs. The players that choose a path of crime will also have to deal with the consequences. Once players gain enough criminal points, they will be forced into exile from their faction and tossed into a criminal faction. And then there are real pirates that go about hunting trade ships to steal their goods. I enjoyed the idea of becoming a real pirate. It adds an exciting style of gameplay and survival to a sandbox game. After 50 crime points the player is sent to a trial where they are judged by the other players. They can also plead guilty and make things shorter on themselves. If you reach 3000 crime points by continuing your criminal ways, you’ll be removed from your faction and put into the pirate faction (which is the fun one in my opinion). This however closes some doors, such as being able to enter certain areas safely, but it allows you to do things more freely. It is best to avoid being put in the pirate faction until you’re high level and able to defend yourself as you’ll be targeted a lot more by players. My time in the beta for ArcheAge was definitely interesting and enjoyable. Coming from a player who enjoys sandbox style and total customization over all else, I found ArcheAge to contain a style that combines everything I like about the genre. It contains a nearly perfect blend of sandbox and themepark style gameplay. It is done surprisingly well and has a lot of great functions that are unique. Overall the game delivers on the hype it’s been accumulating among the sandbox players. The amount of customization and housing opportunities is just amazing and seemingly endless. With a class system and faster fighting style, ArcheAge has an advantage over the other games in the genre. One of my favorite features was gliding, which in turn became the most used way of travel for me. For those seeking a challenge for survival and possibility that other sandbox MMOs don’t have, then ArcheAge is worth playing for you. Photo credit: The reviewer was unable to take screenshots because of a technical problem so the images are from the Trion website. Did you spot an error? Want to comment or suggest something? Then leave a comment below. Your comment will be published once it has been approved by a moderator. Thanks. My kids would love these games!! Older kids !! !